Kepel is found in the Malesia region of South East Asia. It has also been introduced into Australia and the Philippines. 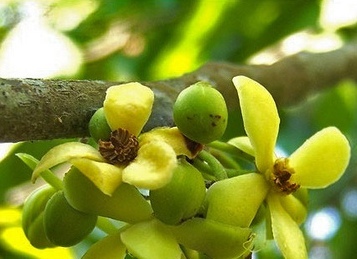 This fruit is, however, under cultivation in Java only where the fruit is also sold in local markets. Javanese people have a strong liking for this fruit. 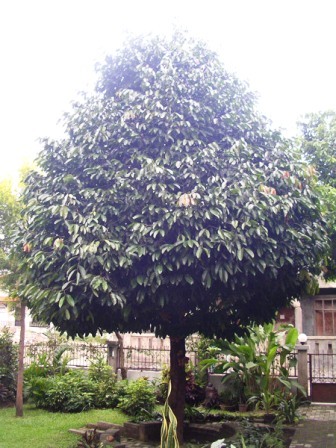 A large erect evergreen tree, upto 25 m tall, trunk upto 40 cm in dia. Leaves elliptic-oblong to ovate-lanceolate, 12-27 cmx5-9 cm, dark green glabrous. Thin, leathery; petiole upto 1.5 cm long. Flowers unisexual, green turning whitish, fascicled on tubercles; male flowers on upper trunk and older branches, 8-16 together, upto 1 cm in diameter; female flowers only on the lower part of the trunk upto 3 cm in diameter. 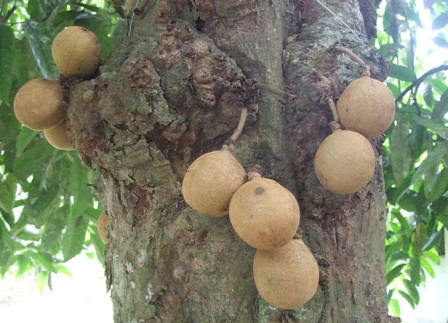 Fruit brown, 62-105 g, with 1-13 berry-like carpels; fruit stalk upto 8 cm long; ripe carpels almost globose, brownish, 5-6 cm wide; pulp orange, juicy and edible. Seeds ellipsoid, 4-6, upto 3 cm long. Ripe fruits are eaten fresh. The pulp is said to impart the fragrance of violets to breath, sweat and even urine. It is also reported to be cause temporary sterility among women. Hence it was used by the aristocratic ladies of Java as a perfume and a family planning agent. It is further said that the use of kepel fruits was traditionally restricted to consorts of the sultans of Yogya in Java, Indonesia. 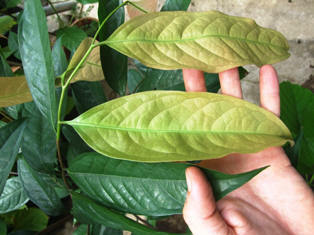 Kepel is a handsome ornamental tree with beautifully pigmented leaves which keep changing colour with age and maturity. The is used for making household articles. Kepel trees are propagated from seed taken from mature fruits. The seed is slow to germinate and some people even recommend scarification. The seedlings are planted 8-10 m apart. The trees take 6-9 years for coming into bearing. Kepel seems to be an interesting plant from the information already available about it. It should therefore be planted and properly tested for verifying its qualities.